Perfect for enjoying a romantic drink of sake with a loved one, this saki set has a unique artistic design featuring colors as they might appear in a submerged ocean cave. The sake jug has a round body and narrow neck with a small ridge near the top to make pouring easier. 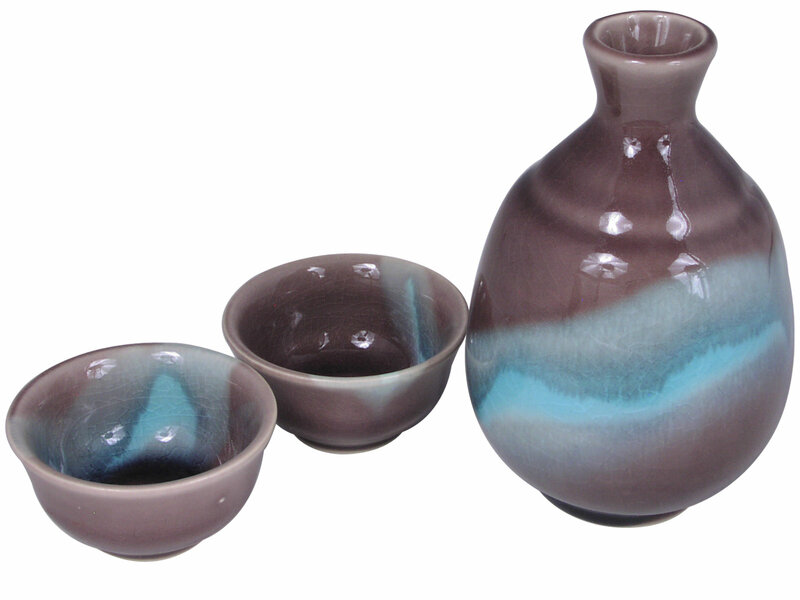 The colors in the jug move from eggplant to several tones of aquatic blue. It features a crackled texture which has been finished off with a smooth glossy glaze. Packaged in a gift box, this saki set comes with one sake jug and two sake cups and is made in Japan.